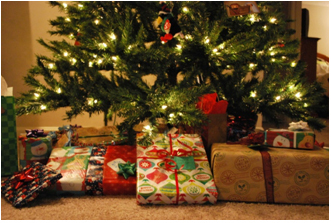 Expectation is a big part of what Christmas has become for many people. There is an air of entitlement in our expectations as well. Many come to expect all they could want will be waiting for them under the tree on Christmas morning. Those absolutely perfect gifts you expect will be delivered. The underlying tone of this expectation is receiving favor. To receive favor is best described as preferential treatment shown by somebody. When we receive favor from someone else, we take on a connection with them. But we also know what it feels like not to be favored by someone; cast aside, of no value. “The spirit of the Lord God is upon me, because the Lord has anointed me; he has sent me to bring good news…” The good news is that God never leaves those whom he favors, and those he favors are those whom He has revealed his Son, Jesus Christ. To know his favor is to know your sins are forgiven, and that your identity is found in Jesus Christ. His favor is known in faith, and in the calling, gathering, and enlightening through the work of the Holy Spirit and his Word so that in those times in your life when you struggle, he equips you through faith in Christ to have hope and peace, and that you will see the light of Christ even in your darkest places. In this Advent time, we wait for God’s promise of his favor to come….in the form of a baby lying in a manger. Expect God’s favor! Older PostWhat shall I cry?